Mercedes-Benz Service B* cost depends largely on the model you drive. When estimating the cost of Service B** for your Mercedes-Benz, you can expect to pay anywhere from $625 up to around $1,000 here at Fletcher Jones Imports. What Does the Price of Mercedes-Benz Service B Cover? How Can I Save on the Cost of Mercedes-Benz Service? Choose Certified Technicians: Our technicians know Mercedes-Benz vehicles inside and out; relying on the experts from the start will save you unplanned service trips and added costs. Use Genuine Parts: We use genuine Mercedes-Benz parts during every service—Service B included. Compared to aftermarket, genuine parts are stronger, safer, and made to fit your car exactly. Claim Service & Parts Specials: Take advantage of our service specials and parts offers to get the repairs you need at a discounted rate. 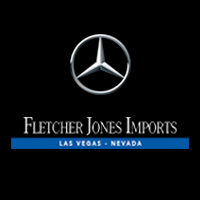 Schedule Mercedes-Benz Service B at Fletcher Jones Imports in Las Vegas! For more information on the Mercedes-Benz Service B cost for your vehicle, contact our service department online or by phone. If your vehicle is due for Service B, or even Service A or C, feel free to schedule an appointment online! Fletcher Jones Imports is conveniently located near Summerlin and Spring Valley! For more info about Mercedes-Benz service pricing, you can also learn about the cost of Service A maintenance. 0 comment(s) so far on What Does Mercedes-Benz Service B Cost?